Promising three-year-old Riding The Wave is now likely to be campaigned in Queensland after scoring a dominant win in the $25,000 Pyramid Trucking Three-year-old at today’s Te Aroha meeting. 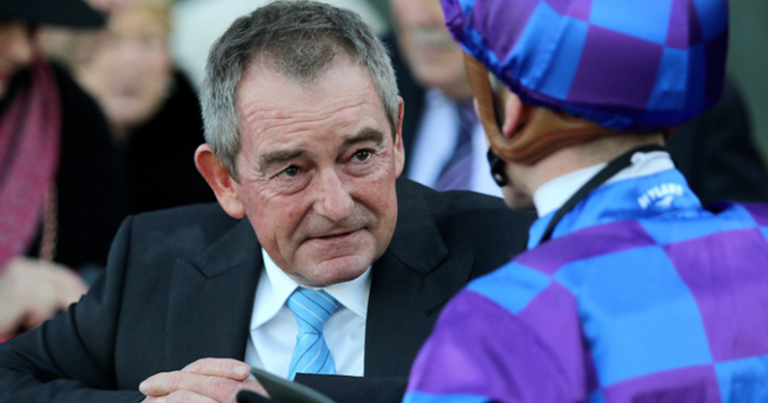 Pukekohe trainer Nigel Tiley has already revealed his intentions to take a team to this year’s Queensland winter carnival, with Megablast and Demonetization spearheading the attack, and said Riding The Wave has probably now booked a space on the plane too. The American-bred gelding is held in very high regard by his trainer and was recording back-to-back victories when powering to a length win over Anything But in today’s 1400m event. The son of 2013 Kentucky Derby winner Malibu Moon had two starts back in the spring of last year for a third and a fifth and then resumed from a spell with a 1-1/4 length maiden win over 1400m on his home track on March 22. “He’s a very serious horse,” Tiley said. Riding The Wave is a big strong three-year-old part-owned by Tiley and his wife Lee. His sire Malibu Moon only had two race starts before his career was cut short by an injury. He stands at stud at Spendthrift Farm in Lexington, Kentucky, for a stud fee of $US75,000. Anything But, who was also following a last start maiden win at Pukekohe, was a game second in today’s three-year-old race at Te Aroha while Peaceful was 1-3/4 lengths back in third. Dawn Patrol started a raging hot favourite for the event but over-raced in the lead and was a spent force soon after turning for home, dropping away to finish eighth of the 10 runners.